Com a part d’una reorganització que va començar la setmana passada, Dow Jones està tancant o reduïnt oficines a Budapest, Madrid i Varsòvia. L’empresa, una unitat de Rupert Murdoch News Corp, està considerant moure les seves operacions d’agències de notícies a Barcelona. Aquesta entrada s'ha publicat en ESPANYA EN FALLIDA el 12/02/2017 per davidros. Common Sense welcomes guest writer David Ros Serra, who writes about the economic consequences of suspending the Catalan referendum on local and European markets. Mr. Ros is the Coordinator for the Economics Group within the Catalan National Assembly. He has a degree in Economic Science from the University of Barcelona and works as the Financial Coordinator for the Municipal Government of Sant Cugat del Vallès. 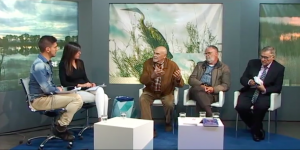 The opinions of the author are his own and do not necessarily represent those of Common Sense, the Catalan National Assembly, the municipal government of Sant Cugat del Vallès or any other organization. This article is printed with the author’s permission. One of the key requirements of an economy is stability and the confidence in the normal functioning of the political, judicial and social sphere. If Spain were to become insolvent, few people doubt that it would cause a domino effect which would ripple across Europe and possibly the globe. Without a doubt the European Union will do anything, pay any price, to avoid this eventuality. 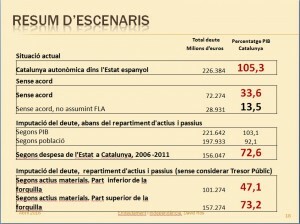 Catalonia is the motor of economic recovery in Spain. The region contributes 11 to 16 billion euros per year (USD$14 to $21 billion) more than it receives back in infrastructure investment and services. The Catalan people are mobilized in their demand for a new state. Their frustration with the irrational behavior of Mr. Rajoy can manifest itself in different ways, which could generate a lack of confidence in the situation among Catalan entrepreneurs and businessmen as well as with foreign investors. It should be obvious what this implies for Catalonia, Spain and Europe when this is the region that attracts the most investment in continental Europe. Not only Spain would be destabilized. The economic uncertainty could affect all of the member states of the Eurozone due to the region’s interdependence. This could lead to serious questions about the sustainability of the Spanish debt as well as provoking insolvency fears in other Eurozone markets. Catalans have expressed their willingness to accept the results of the consultation, whatever those may be. In the event of a victory for “YES-YES” there would follow a period of transition and negotiation. Catalonia would require time to create and establish the state structures that it yet lacks, while Spain and the Spanish economy could also make use of the time to ensure a smooth transition. Time is against Spain. The reforms to the Spanish economy are also in need of a period of stability. It is clear that Spain will require economic assistance from the European Union to overcome the deficiencies in its own reforms. The sooner Spain and Europe accept the separation of Catalonia, the sooner the negotiations on the terms of a bailout package can be negotiated with the EU (and other institutions like the IMF). Spain must learn to stand on its own feet. One of the reasons an independent Catalonia would be a positive development is that the rest of the country would learn to succeed without parasitism. Once Spain really accepts that Catalonia is leaving, it will be able to start work on real economic reforms, not just spending cuts and/or tax increases). Spain needs real political reforms, not just a repetition of past mistakes, in order to survive financially after the separation of Catalonia. It is that same separation which is needed to motivate them to finally undertake these critical reforms. Aquesta entrada s'ha publicat en A NEW STATE IN EUROPE el 10/02/2017 per davidros. Aquesta entrada s'ha publicat en MULTIMÈDIA el 10/02/2017 per davidros. Xavier Graset al 324: Una futura Catalunya independent reduiria el seu deute a la meitat. Ho diu un estudi presentat al Col.legi d’Economistes per David Ros i Pere Miret. En l’estudi s’afirma que l’estat espanyol té un forat de 270 mil milions d’euros, és a dir, que té un deute tan gros que, si fos una empresa i vengués els seus actius, tindria un forat d’un 46%. Creiem que cal oblidar-se del dèficit fiscal de 16 mil milions anuals i, en canvi, parlar dels 80 mil milions, que és el que els catalans generem anualment en forma d’impostos, cotitzacions de la Seguretat Social i taxes d’empreses públiques i organismes públics. 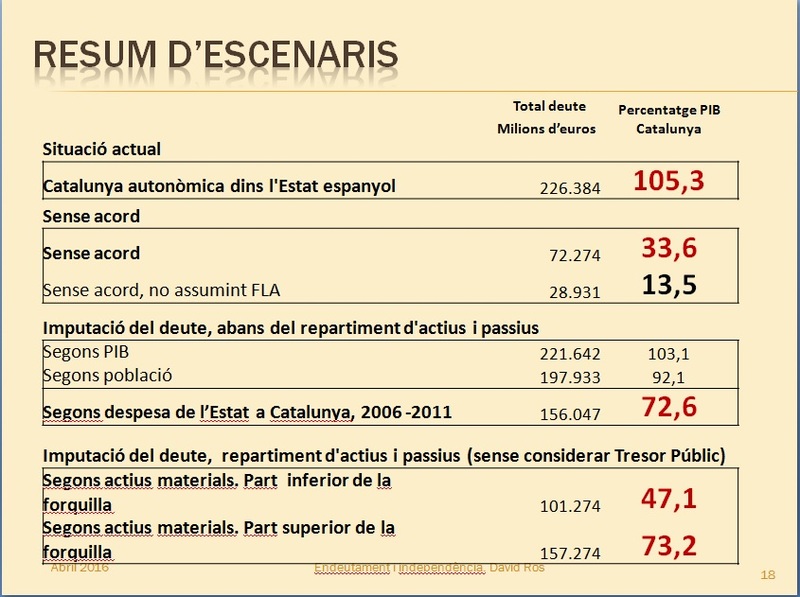 Aquesta quantitat, serviria per pagar els 76 mil milions d’euros que gastem els catalans. Segons aquests càlculs fets en base a dades del Banc d’Espanya, Catalunya seria un dels quatre països d’Europa, amb Noruega, Alemanya i Suïssa, que tindria superàvit. Un 1% del PIB català seria aquest superàvit. Aquesta entrada s'ha publicat en General, MULTIMÈDIA el 10/02/2017 per davidros. Per molt que es parli de la necessitat de revisar el sistema de finançament autonòmic, per molt que es pretengui revisar-ho, la realitat de les xifres ens permet afirmar que la Catalunya autonòmica mai arribarà a tenir un equilibri raonable entre els ingressos i les despeses perquè els seus pressupostos sempre estaran condicionats per les decisions del Govern central. El que necessita Catalunya és poder gestionar els 80.000 milions d’euros d’ingressos anuals que genera la seva activitat econòmica, i això tan sols és possible en una Catalunya independent. Clicant aquí trobareu l’anàlisi que en fem des de la Sectorial d’Economia de l’ANC. Aquesta entrada s'ha publicat en ESPANYA EN FALLIDA, General el 25/04/2016 per davidros.